Richard Feynman gave his two years undergraduate physics in Caltech in a completely new way from the traditional undergraduate physics course in early nineteen sixties. 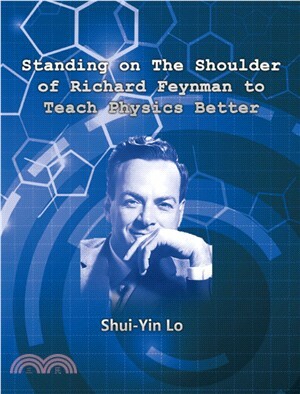 Now it is fifty years after Feynman gave his famous Lecture on Physics. It is time to present a completely new way of teaching physics. Feynman said, “We prefer to take first the complete laws…… opposite to the historical approach”. We follow what he said, and present complete laws of physics: quantum field theory right from the beginning in a way that any first year undergraduate in science and engineering can follow. As Feynman said many times in his lectures physics is not mathematics. The most important crucial physics should be taught with minimum mathematics. Mathematics are used only when it is absolutely necessary. In part I, we use this quantum framework to formulate classical physics. In part II we use this quantum framework to explain our daily activity, as our daily activity is also governed by quantum physics. Dr. Shui in Lo is a theoretical particle physics with Ph. D. from University of Chicago, former visiting faculty member of California Institute of Technology and currently Professor of Chinese Medicine. For fourteen years he has taught Quantum Field Theory, Particle Physics, Mathematical Physics, and General Relativity; Quantum Mechanics, Electromagnetic Theory, Classical Mechanics, Thermodynamics, Advanced Quantum Mechanics, Advanced Electricity and Magnetism, Statistical Mechanics. He has supervised four Ph.D. and six M.S. in physics.